Welcome. This portion of the Port of Portland's website contains materials which may be of interest to holders of securities issued by the Port of Portland, potential investors, or others interested in the Port of Portland's financial performance. This site provides users a convenient source of general information about the Port of Portland, its debt, and its financial and operating information. The information set forth in the documents accessible from this page is limited in scope and does not contain all material information concerning the Port of Portland necessary to make an informed investment decision, and such information does not constitute an offer to sell, or the solicitation of an offer to buy, the Port's bonds. Certain information not reciting historical fact may constitute forward-looking statements and users are cautioned not to rely on such statements as actual results may differ materially. Each document listed in this section is dated and speaks only as of that date. The Port does not undertake to update, and expressly disclaims any duty to update, any document. By clicking the button below you acknowledge that the documents presented herein address only the matters discussed in such documents, are not an offer to sell, are each dated as of a certain date and have not been updated since that date. As a result, the documents may not contain all information material to investors and may contain material misstatements or omissions because of the passage of time or the occurrence of subsequent events. These documents are not intended to be relied upon in making investment decisions. The Port has a fiscal-year end date of June 30. The accounting and reporting policies of the Port conform to generally accepted accounting principles as applicable to proprietary funds of local governments. The Governmental Accounting Standards Board (GASB) is the accepted standard-setting body for establishing governmental accounting and financial reporting principles. Accordingly, the Port utilizes the accrual basis of accounting, whereby revenues are recognized when earned and expenses when incurred. The Port issues one report for the organization as a whole. 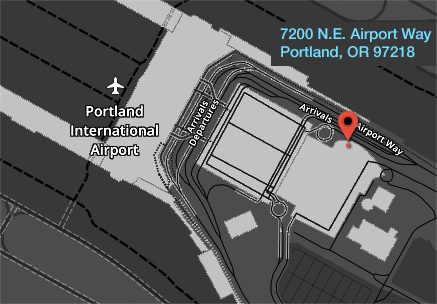 As required by various bond covenants, Portland International Airport information is presented separately as the airport activity in the basic statements or footnotes, or as supplementary information.